Search for all "PTRH2 / BIT1"
Rabbit anti Human, Mouse PTRH2 / BIT1. A synthetic peptide corresponding to 16 amino acids near the center of human PTRH2. 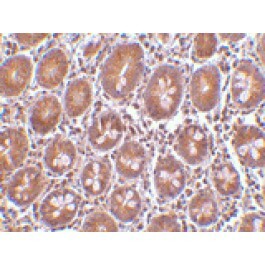 Rabbit polyclonal antibody raised against synthetic peptide of PTRH2.